Our luxury tissue boxes are handcrafted in the most exceptional woods from around the world. 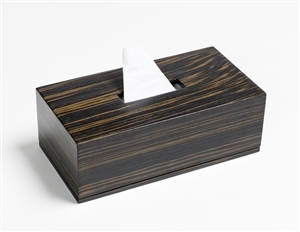 With a clever magnetic base, for ease of replacing your empty box, our luxury tissue box holder is totally unique. So striking and elegant in Dark Ebony. To be placed anywhere and everywhere! So fresh in Warm Walnut. 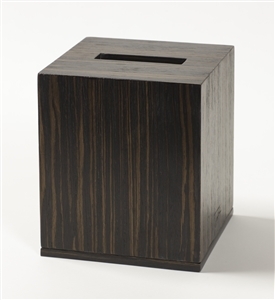 Stunning Smoked Oak Tissue Box Holder for your every room. 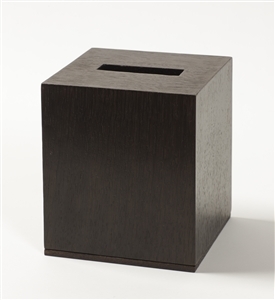 A cleverly designed striking Dark Ebony tissue box holder with a magnetic base. 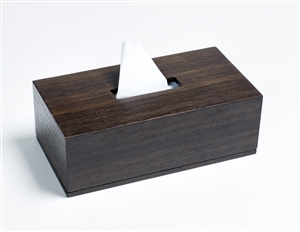 A beautiful boutique tissue box in Warm Walnut with a clever magnetic base. 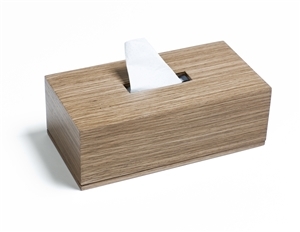 A beautiful boutique tissue box in Smoked Oak with a clever magnetic base. A stunning Sterling Grey handmade tissue box. Stunning Sterling Grey Tissue Box Holder for your every room. A stunning Russian Karelian Birch handmade tissue box. A beautiful Tamo Ash handmade tissue box. A stunning Mexican Ziricote handmade tissue box.